God is looking for holy vessels that are dedicated for His use alone. We have been bought with a price – the infinite precious blood of Jesus Christ. Therefore, we now belong to God. We no longer belong even to ourselves. We have been “separated” for God’s use alone. Something that is “holy” is reserved and can be used only for that dedicated purpose. The Temple of Jerusalem was “holy” in that it was to be used for only one purpose and that was in the worship of the LORD God of Israel. The priest was “holy” because he belonged to God. 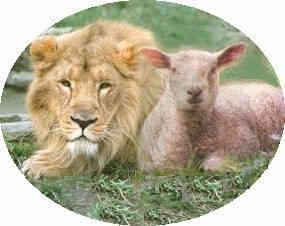 The animal sacrifices were “holy” because they no longer belonged to the one offering, but to God alone. The Christian is to be a “living and holy sacrifice, acceptable to God which is your reasonable, spiritual service of worship” (Romans 12:1). We are to offer “living” as opposed to slain sacrifices. The Christian does not offer his body to be slain. We died with Christ and have been raised with Him and are seated with Christ in the heavenly places. Therefore, we are now to be living offerings in constant dedication to God. We have received a new life in Christ (Romans 5:12-21; 6:1-12). This new life is a continuously living active service to God. God can use in His service of worship the newness of life that is given to us by union with our risen Lord and Savior Jesus Christ. In fact, that is the only kind of service that pleases Him. When the worshiper took his sacrificial animal to the Temple to offer it to the LORD God he presented it in its entirety. He surrendered all claim to the animal. It was no longer his to claim or use in any manner. The apostle Paul has this idea clearly in mind. The believer in Christ is to devote himself to God, as if he no longer had any claim on himself. The LORD is now the owner of the living sacrifice. He is at God's disposal to do His bidding. The Christian lives for only one purpose and that is to honor, glorify and serve God as a living sacrifice. That is a “holy” sacrifice and that is the sacrifice He will use for His glory alone. It is “pleasing, acceptable to God.” It is a sacrifice in which God delights. This is the spiritual worship we owe to God because of His great saving grace. Is this to be a “reasonable service,” or is it a “spiritual act of worship?” In the original language it can be translated embracing both ideas at the same time and that is how I prefer to take it. The “living sacrifice” makes sense. It is reasonable and logical because of the great sacrifice Christ made for us on the cross. Old Testament sacrifices were dead; Christian's are alive. Both were to be "holy and pleasing to God." Because we have received the great mercies of God in grace, we are to present our "bodies as a sacrifice--alive, holy, and pleasing to God--which is your reasonable service" (NET). What is the "sacrifice" we are offering to the Lord? It is a spiritual reasonable worshipful service consecrated to God that is accepted by God because it includes the whole person: mind, reason, intellect. It is a personal, rational, conscious, intellectual devotion to the service of our Lord. It is not mechanical like an animal that cannot make a decision about its destiny. Our acceptable service is “worship offered by the mind and the heart.” God loves you, and purchased you at a great cost; therefore, He wants your reasonable service in a spiritual act of worship. William Borden gave his life to missionary service, and as he lay dying left a note that said, “No reserve, no retreat, and no regrets.” His words remind me of another who gave his life in Ecuador as a young missionary. “He is no fool who gives what he cannot keep to gain what he cannot lose,” Jim Elliot.